I’d just hopped off my train at Newark Penn Station and was walking along Platform A toward the far stairs – the recently rediscovered crooning of Alanis Morissette occupying my headspace. I happened to glance to my left and spotted, of all things, a tree. 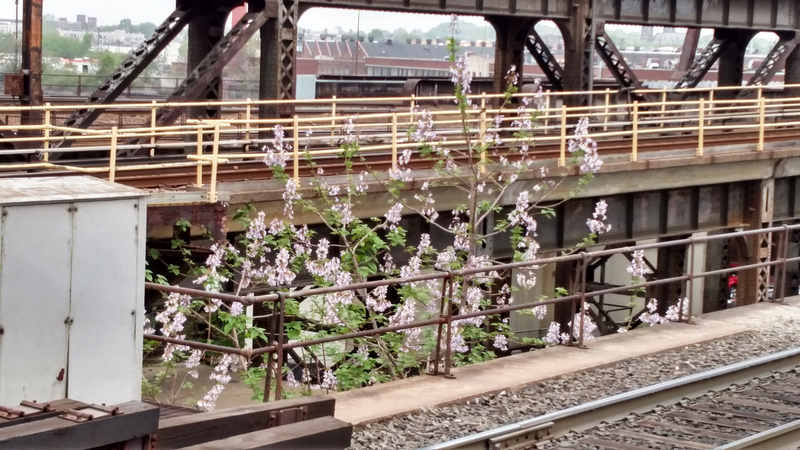 Gorgeous, delicate bubblegum blossoms, gently-waving against the glowing yellow of abused safety rails and the broken reds of rusted tracks. And leaves, like green rips of skin, scattered across the mammoth gray spine of the station. I kept walking, subconsciously aware of the crashing human wave rolling behind me – everyone rushing to get wherever their watches commanded them to be – but also reached for my phone. And then it was too late and I was in the stairwell, headed down to the marble shoebox that is the concourse, to go right back up to Platform 1 and the Path. But I didn’t catch the Path. Not right away. I didn’t even try. I hopped the turnstile (because you’re locked-in once on the Path Platforms, apparently) over to Platform B, hustled back down to the concourse and back up to the now-deserted Platform A. 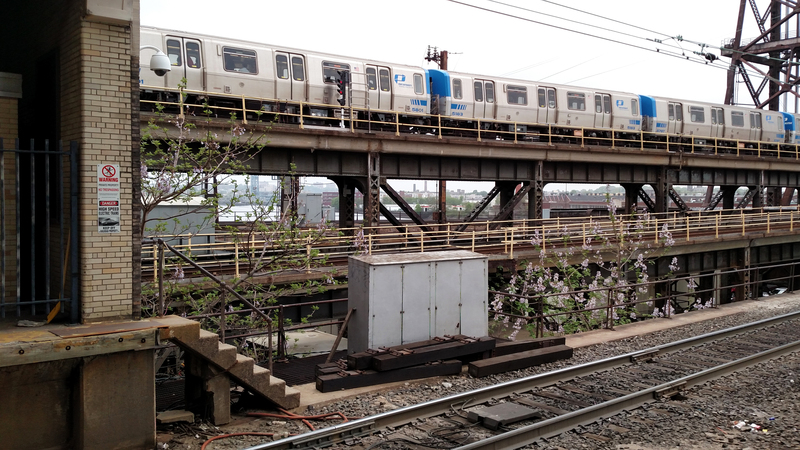 Simply put, if a tree can grow under a city train station, what else is possible? Or perhaps the question really is, what do I believe is possible? We spend so much time limiting ourselves. “I can’t.” “I’ll never.” “There’s no way I could.” Tree seeds don’t believe that. They just know to grow – to flourish, even under the worst circumstances. Life doesn’t believe that, either. Where there’s even the smallest patch of earth, life is. And persists. And endures, without doubt or complaint. Like that stunning tree reaching toward the sky from beneath a smothering cage of iron and concrete. If life, of which we’re all atoms, doesn’t believe in limitation, why should we?